Congenital vertical talus is a rare foot anomaly characterized by a prominent calcaneus and rigid forefoot dorsiflexion. While congenital vertical talus has been associated with anomalies such as trisomy 18, myelomeningocele and arthrogryposis, postnatal series have reported cases of isolated congenital vertical talus. 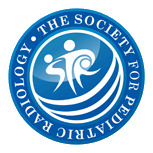 The purpose of our study was to determine the incidence of isolated congenital vertical talus prenatally and identify the most common anomalies associated with this finding. A retrospective review was performed of congenital vertical talus cases identified in our fetal center from 2006 to 2015. 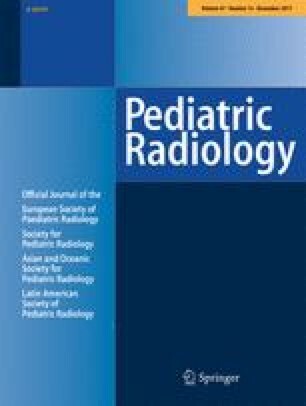 The prenatal US and MR imaging appearance of congenital vertical talus was evaluated and differentiation from congenital talipes equinovarus was assessed. Studies were evaluated for additional abnormalities affecting the central nervous system, face, limbs, viscera, growth and amniotic fluid. Imaging findings were recorded and correlated with outcomes when available. Twenty-four cases of congenital vertical talus were identified prenatally (gestational age: 19–36 weeks). All 24 had prenatal US and 21 also underwent fetal MRI on the same day. There were no isolated cases of congenital vertical talus in this series; all 24 had additional anomalies identified prenatally. Sixteen cases had bilateral congenital vertical talus (67%). Additional anomalies were identified in the brain (15), spine (11), face (6), abdominal wall (3), heart (8) and other limbs (12). Chromosomal abnormalities were identified in 6 of 20 patients who underwent genetic testing. Overall, US held some advantage in detecting the abnormality: in 10 cases, US depicted congenital vertical talus more clearly than MRI; in 8 cases, US and MRI were equal in detection and in 3 cases, MRI was superior. In 9/15 cases with intracranial abnormalities, MRI was superior to US in demonstrating structural anomalies. Outcomes included termination (11), intrauterine fetal demise (1), stillbirth or immediate neonatal demise (5), lost to follow-up (1), and 6 survivors with postnatal follow-up. In our series, there were no cases of isolated congenital vertical talus, with additional anomalies variably affecting multiple systems including the brain, spine, face, viscera and limbs. When congenital vertical talus is identified prenatally, a thorough search for additional anomalies is indicated. Fetal MRI can be a useful adjunct in confirming the diagnosis and further delineating additional anomalies, particularly in the brain and spine.